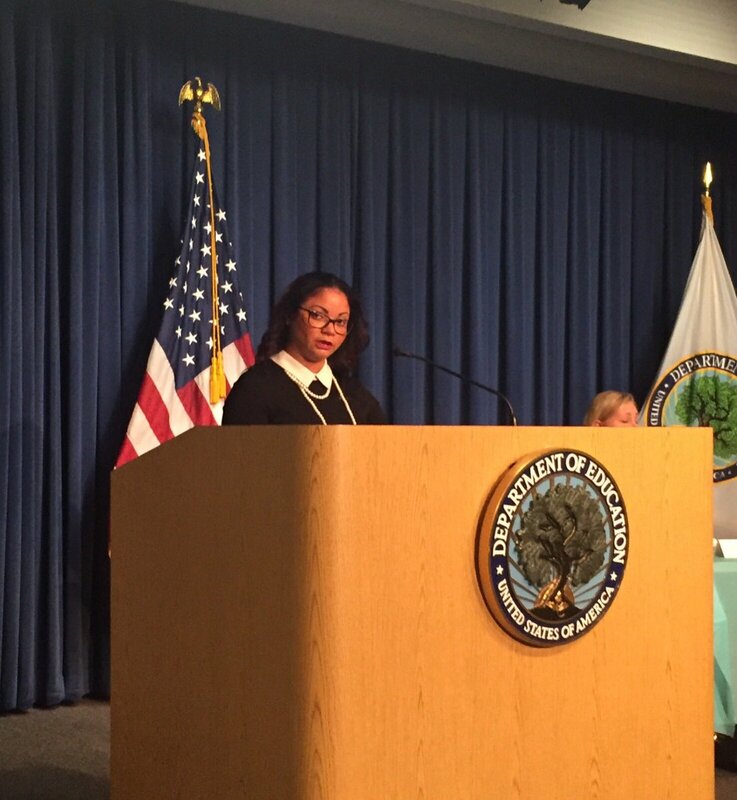 Today, IAVA Director of Political and Intergovernmental Affairs provided testimony before the Department of Education Public Hearing on Regulatory Reform. Her testimony highlighted our determination to close the 90/10 loophole and protecting veterans from fraud and predatory lending. Bryant’s full statement can be seen below. On behalf of Iraq and Afghanistan Veterans of America (IAVA) and our over 400,000 members, I would like to thank you for the opportunity to speak today at this hearing on educational regulatory reform. 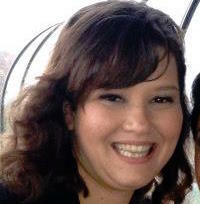 My name is Melissa Bryant, and I’m the Director of Political and Intergovernmental Affairs for IAVA. I am also a former Army Captain and an Iraq War veteran who has used my post-9/11 GI Bill benefit to obtain a master’s degree in policy from Georgetown University. After thirteen years, IAVA has become the preferred empowerment organization for post-9/11 veterans. IAVA’s “Big 4” policy priorities outlined in our annual Policy Agenda are to: 1) Fully recognize and Improve Services for Women Veterans; 2) Battle Military/Veteran Suicide; 3) Government Reform to Better Service our Nation’s Veterans, and of course; and 4) Defending Veterans Education Benefits—particularly what is now referred to as the “Forever” or Colmery GI Bill. In defending veterans education benefits, IAVA believes that the most pressing issues to discuss here today are ending the 90/10 loophole, protecting the Gainful Employment Rule and all other rules that protect students and taxpayers from fraud, and killing the intended VA waiver that could open the door for VA employees to profit from for-profit colleges. IAVA has a vested interest in defending the GI Bill from bad policies like the 90/10 loophole, as we not only fought for the creation Post-9/11 GI Bill in 2008, but also championed upgrades in 2010, 2014, and this year. Our members remain deeply engaged in the future of this landmark benefit and often share their opinions often with us. In our most recent member survey, 66% of respondents have used or are using the GI Bill, while another 24% intend to. We strongly encourage the Department of Education to work with Congress in removing bad policies like the 90/10 loophole and further improving the utility of the GI Bill. programs which receive federal student aid prepare students for employment in worthwhile jobs. This rule was established to protect students from the predatory practices of inadequate schools that seek to sell them useless education programs, and burden them with large student loan debt and little access to the jobs that they wanted. We cite examples of these predatory practices directly in our Policy Agenda. As we describe in Section 2.1: Defend The New GI Bill Against Cuts, Fraud, and Waste and Abuse, “In 2015 and 2016, the risks associated with for-profit education companies targeting student veterans further materialized with the sudden closures of all Corinthian Colleges and ITT Technical Institute campuses. The closures of these and other for-profit education companies have left thousands of veterans unable to complete their degree programs.” While we’re glad veterans will begin to see a remedy to these closures granted under the recent “Forever” GI Bill expansion, we should fully enforce the Gainful Employment Rule to reduce the odds of situations like this from occurring again. Regulations like the Gainful Employment Rule encourage reforms at for-profit schools that work towards preventing these closure situations by distinguishing the worst actors in the for-profit sector from those that are delivering quality education programs. By doing so, this policy helps veterans education programs like the GI Bill do what they were meant to do: help veterans transition from the military to a civilian career and life. Lastly, while this issue is not directly related to the Department of Education, we feel that it is critical to address it here as it could adversely affect the education of student veterans. The VA has recently decided to apply a waiver that could allow for VA employees to unduly profit from for-profit schools. This waiver, which casts aside a 50-year old anti-corruption law that has prevented officials who administer the GI Bill from accepting funds from for-profit schools that take taxpayer money. IAVA is greatly concerned that such a waiver would open the door to abuse and conflicts of interest regarding VA employees and the veterans education programs that they administer and have enormous influence over. Under this sweeping change, it would be possible for a VA employee to own or run a for-profit college that takes GI Bill money. We understand some of the justifications the VA has in applying this waiver, such as the example of a VA lab technician taking a class at a for-profit college or a VA doctor teaching a class as an adjunct at a for-profit college. In its current form however, this waiver would unduly expand beyond these situations as it applies “for all VA employees who receive any wages, salary, dividends, profits, gratuities, or services from, or own any interest…” Such a waiver would foster a culture of corruption in the VA as it relates to the GI Bill and cannot be tolerated. Thank you again for the opportunity to speak at this hearing today. We look forward to continuing to engage with you on these issues.